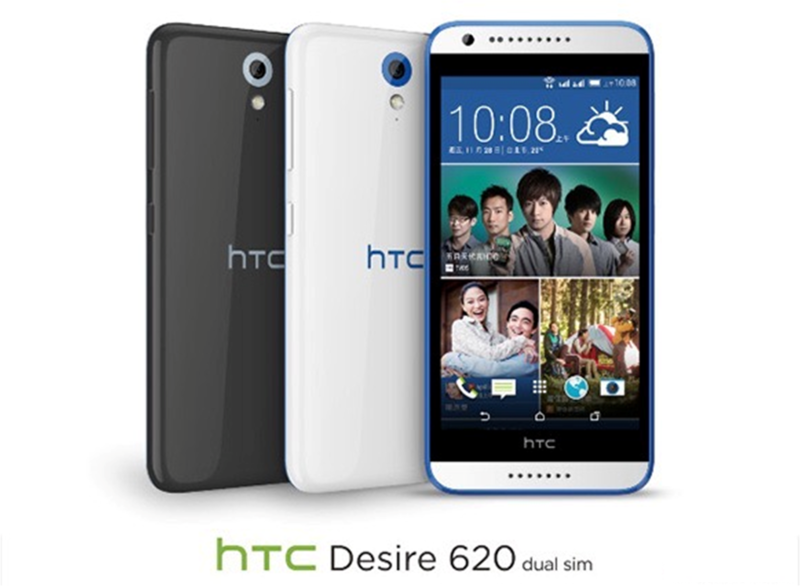 HTC’s latest mid-range smartphones, the HTC Desire 620 and 620G are now official. Both configurations of the Desire 620 were launched last November 28 in Taiwan and will be on sale starting December 1 for a price tag of TWD6,990 (roughly Php 10,120) and TWD4,990 (roughly Php 7,220), respectively. The new handsets share almost the same specs except for their processors, network connectivity and memory expansion. The pricier Desire 620 has LTE support and runs on 1.2GHz Qualcomm MSM8916 Snapdragon 410 comprised of Cortex-A53 quad-core CPU and Adreno 306 GPU; while the cheaper version only has 3G connectivity with a MediaTek MT6592 Chipset clocked at 1.7GHz octa-core processor. MicroSD support for the former is up to a whopping 128GB while the 620G settles only for up to 32GB of storage expansion. There’s no word yet as to when they're going to be available in the Philippines but we’ll keep you posted. In the meantime, check out the rest of the specs after the fold.